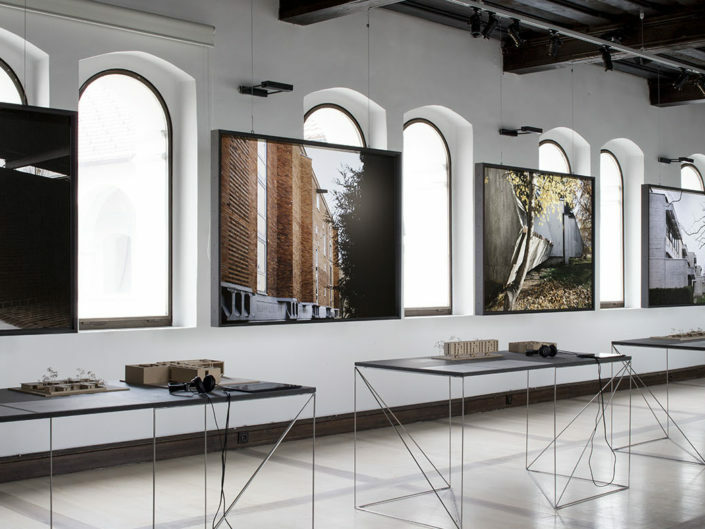 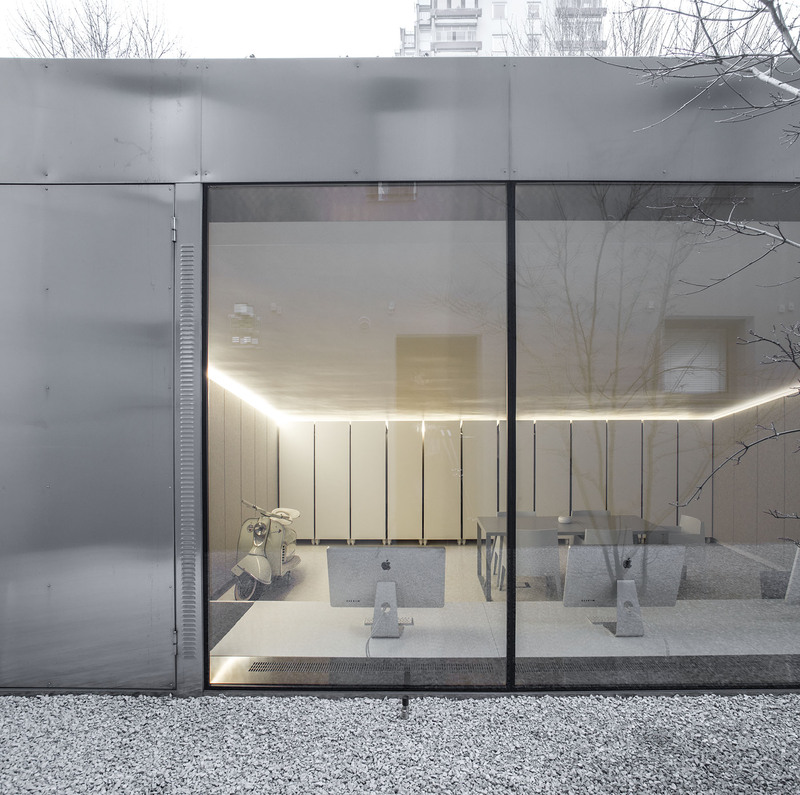 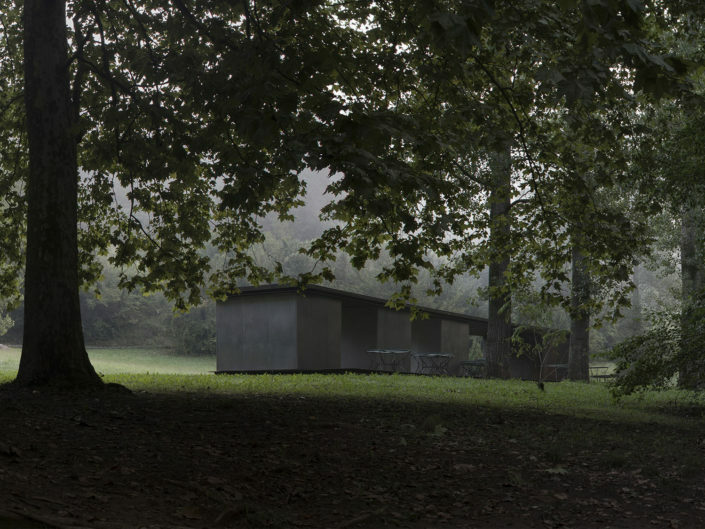 To address the award-winning industrial designer Jure Miklavc’s intent of living and working together, we proposed a design studio experiment – a hidden underground addition in the unused backyard of a typical row house. 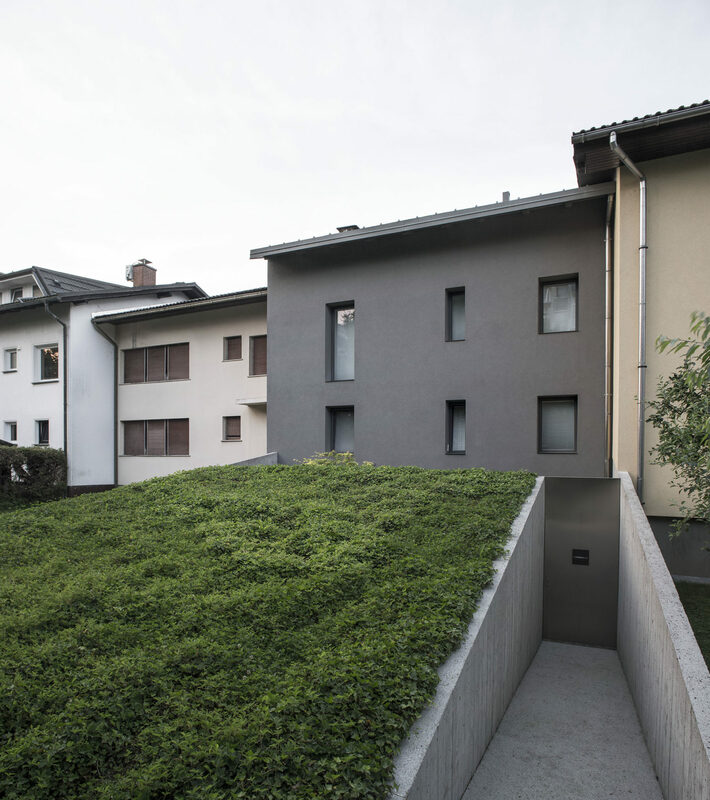 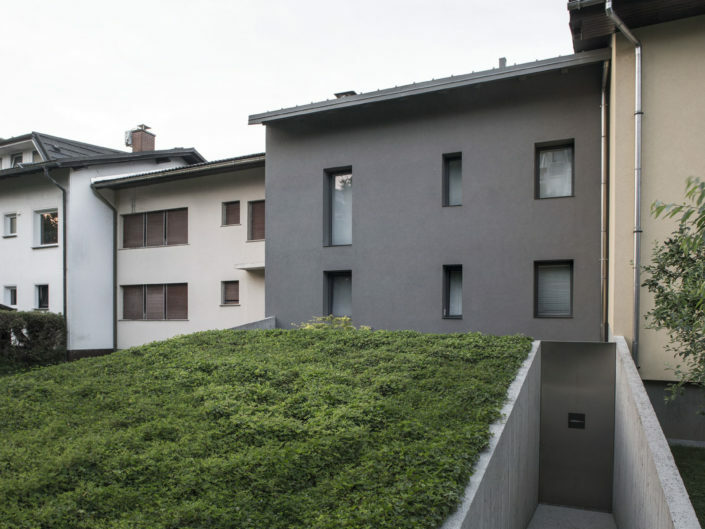 Situated in a ‘70s suburban housing area of the well-preserved medieval town of Škofja Loka, the studio’s green roof is a mere incline in the former north-side backyard, located right next to the public walkway. 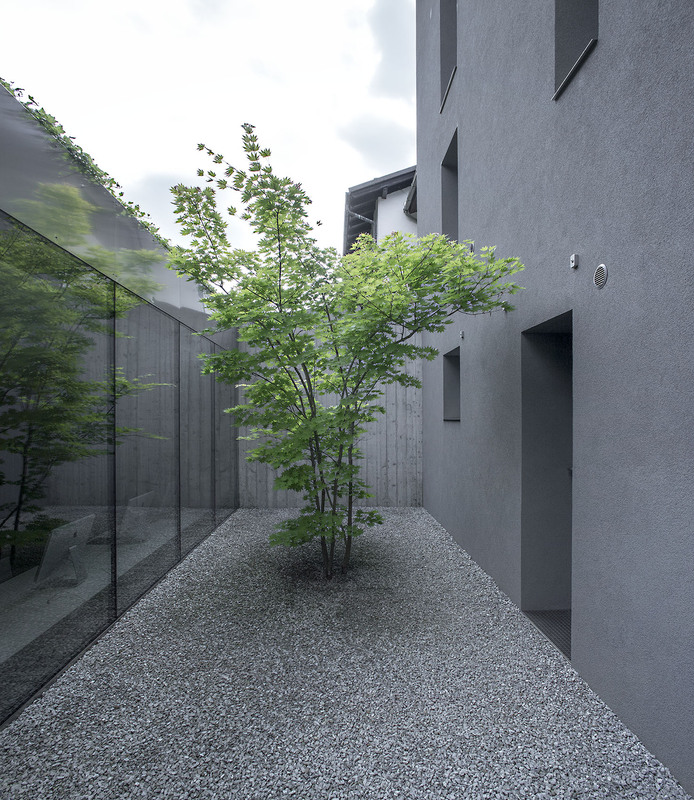 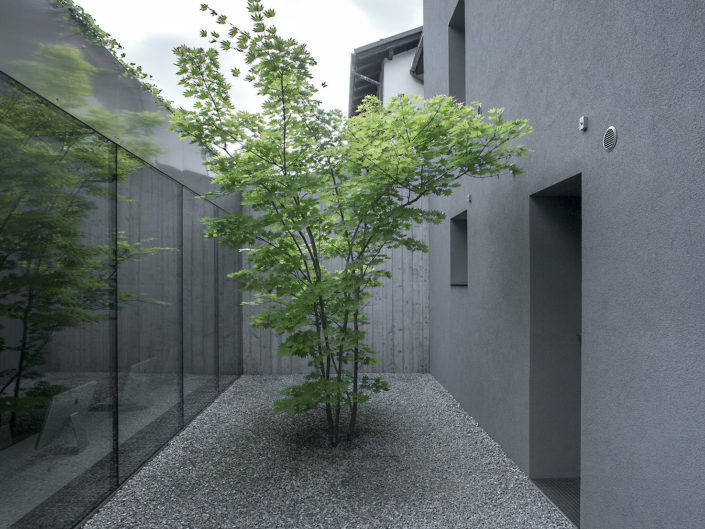 A side cut-out allows for an entry ramp leading to a secluded atrium and further on to the studio. 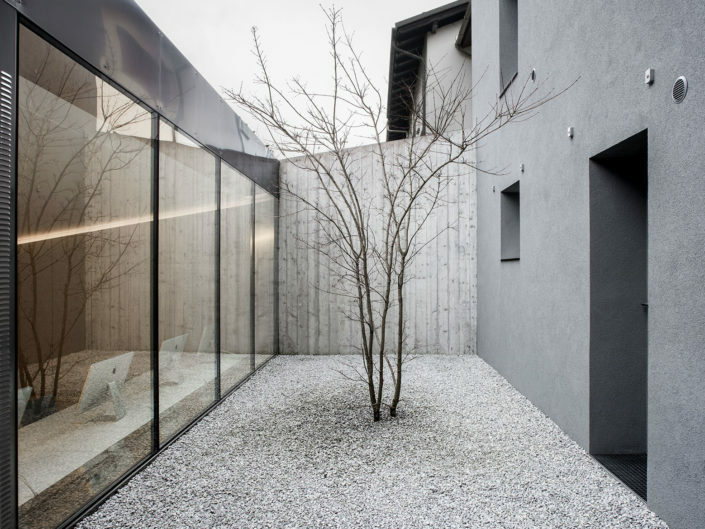 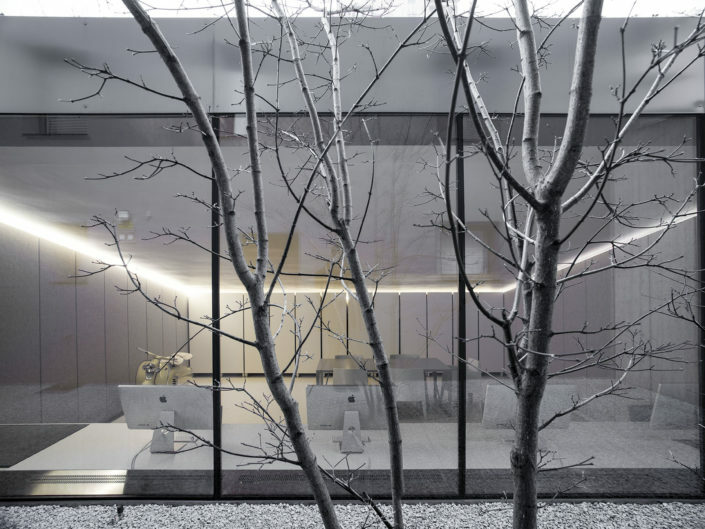 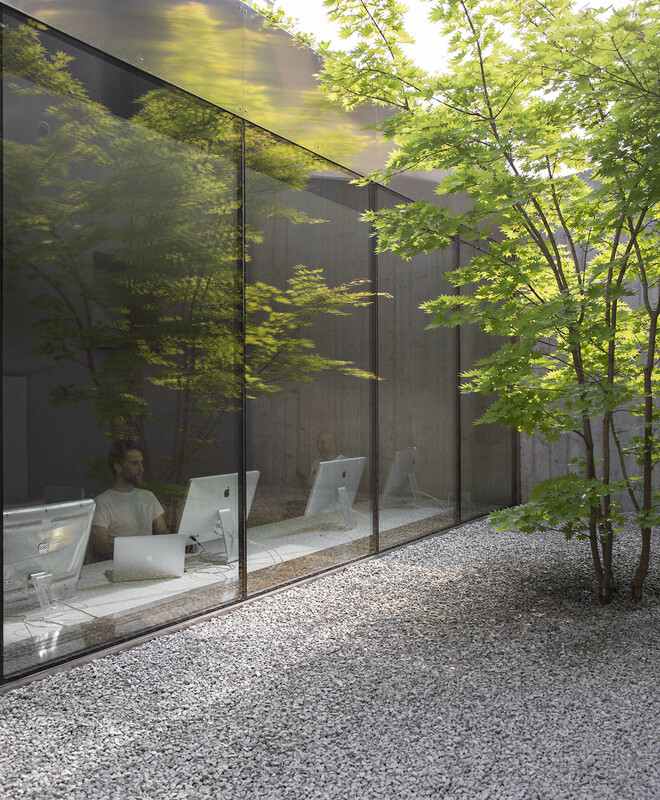 The atrium is conceived as an outdoor foyer, providing the studio’s only light source. 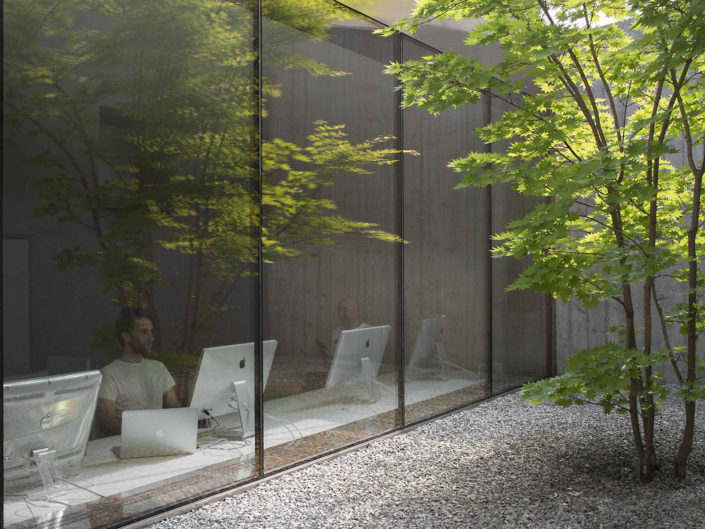 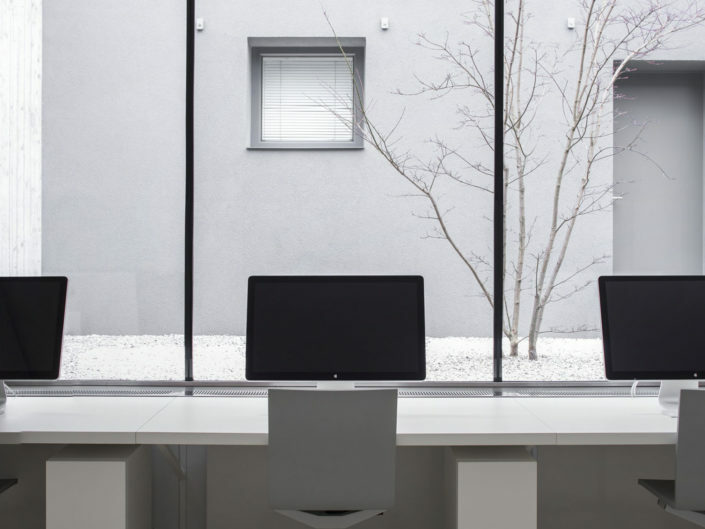 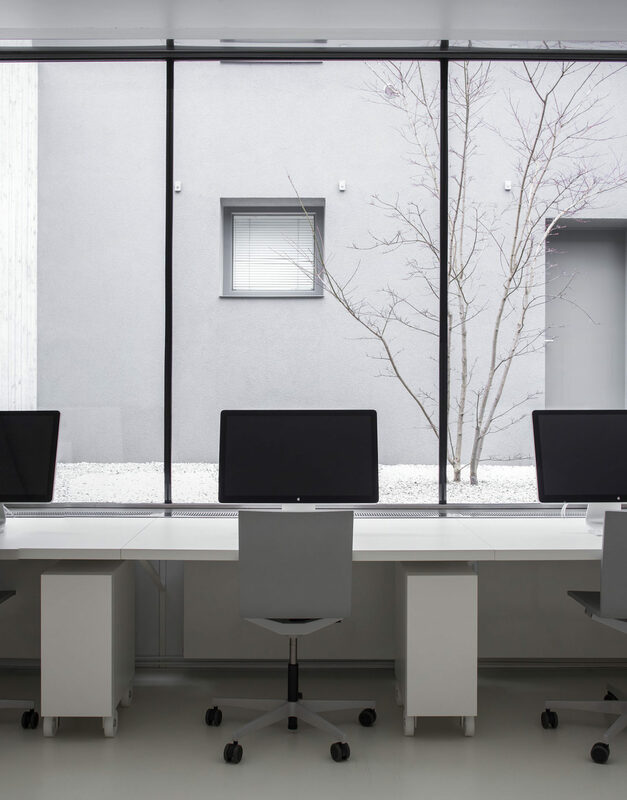 To emphasise the totality of the inside-outside connection, the atrium’s ground extends inside the studio to level with the integrated work desk surface. 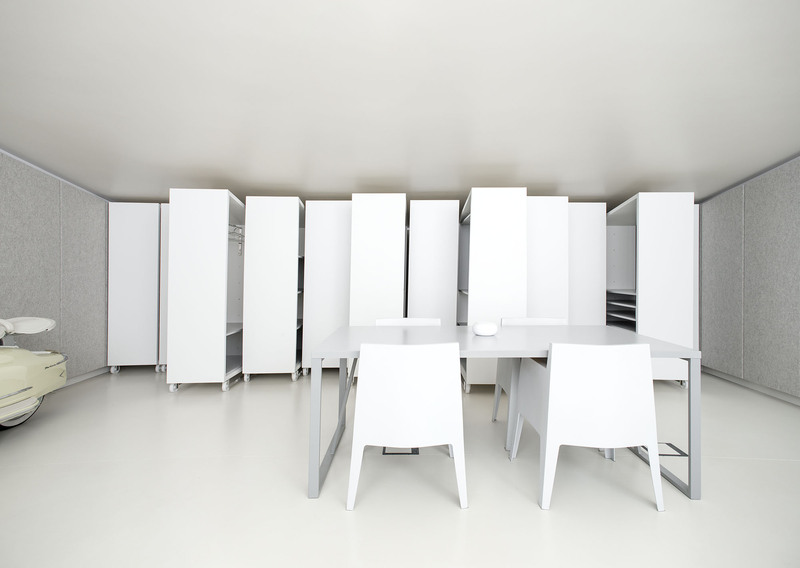 A system of wheeled cupboard modules was developed so that the studio, which performs primarily as working space, can occasionally also serve as a showroom. 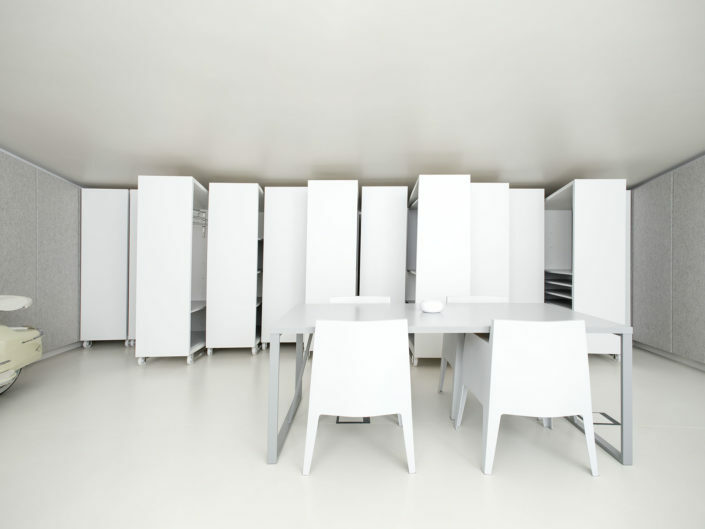 The mobile furniture is usually stacked against the back wall of the studio, but allows for an endless variety of configurations which transform the tiny space for numerous scenarios. 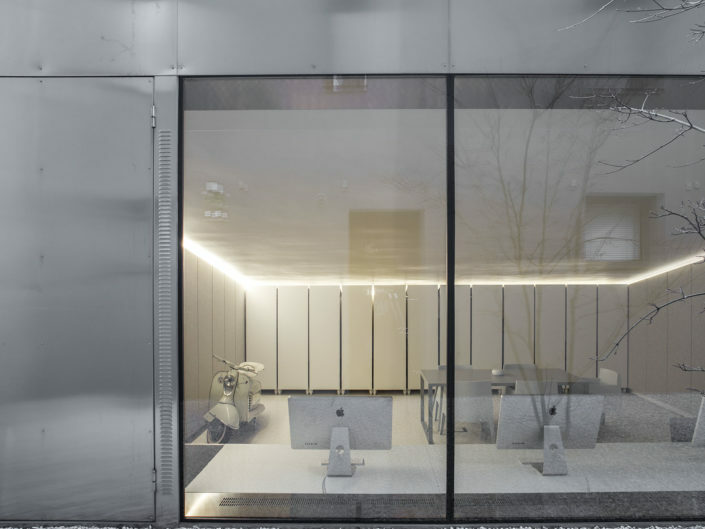 Felt clad side walls ensure proper acoustics, while the rough concrete structural walls juxtapose the industrial design precision of the custom made stainless steel door and window frames. 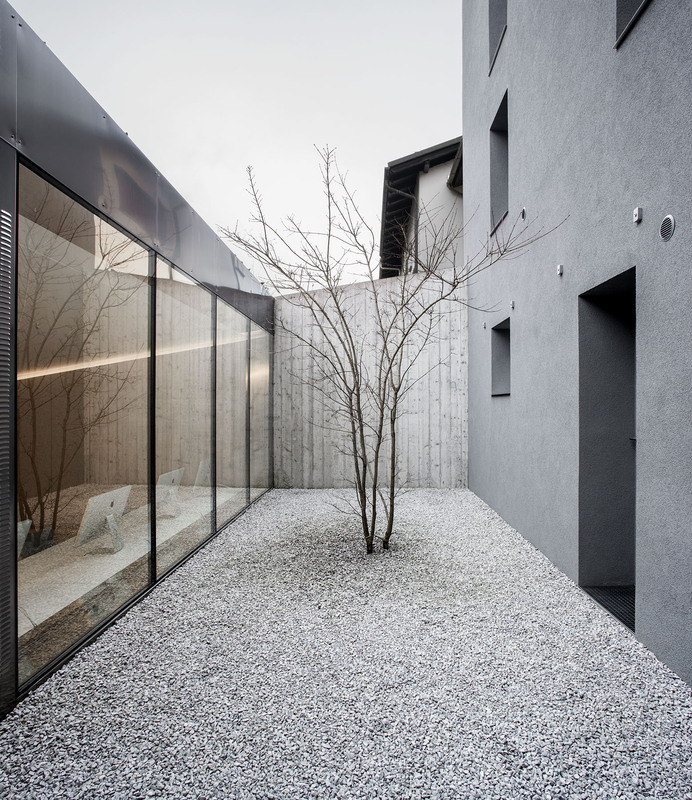 Tiny, precise and slow in implementation, it took 15 years from our first sketch to the meticulous execution, carried out in part as a self-build by Jure and his father, a mechanical engineer.